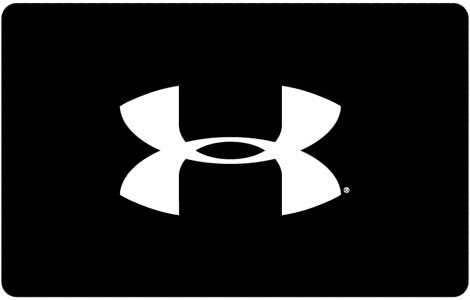 Under Armour® is one of the world’s most technical performance apparel, footwear, and accessories brands. The mission is clear: Under Armour makes you better. How? By inspiring you with performance solutions you never knew you needed and can’t imagine living without. See the innovations that help you run farther, train harder, get stronger, and recover faster so you can reach your goals. All it takes is hard work and the WILL to succeed. Protect this card like cash. Use for purchases at Under Armour® locations in the USA, UA.COM or call 1.888.7ARMOUR only. NOT redeemable with resellers. NOT redeemable or returnable for cash, unless required by law, and may not be used for Gift Cards. Standard return policy applies to purchases. Does not expire. No fees. Cannot be replaced if lost, stolen, or used without authorization. Use constitutes acceptance of these terms. For balance, call 1.800.269.5986 or go to UA.COM. Other inquiries, call 1.888.7ARMOUR or visit any Under Armour® location in the USA. Protect this eGift card like cash. Use for purchases at Under Armour® locations in the USA, UA.COM or call 1.888.7ARMOUR only. To use online or by phone, provide the eGift card number and the PIN during checkout. To use at Under Armour® locations, print this email and present to the cashier during checkout. NOT redeemable with resellers. NOT redeemable or returnable for cash, unless required by law, and may not be used for Gift Cards. Standard return policy applies to purchases. Does not expire. No fees. Cannot be replaced if lost, stolen, or used without authorization. Use constitutes acceptance of these terms. For balance, call 1.800.269.5986 or go to UA.COM. Other inquiries, call 1.888.7ARMOUR or visit any Under Armour® location in the USA.